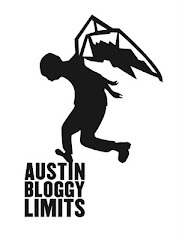 Dang y'all this month is already flying by at Austin Bloggy HQ. Can you believe tomorrow is the ides? Also, something about taxes? In any case, I had intended to give y'all more of a heads up about tonight's Bonobo show at the Parish but you still have time to get dinner, get yer hurrr did and whatnot before the show. Now, I'm not familiar with which specific genres and sub-genres of electronic music and there seem to be more every blog year but I think it's ok to say Bonobo is one of the Godfathers of downtempo/chill-out/trip-hop. I feel cool just typing names of sub-genres of electronic music. Can we still say electronica? Do people go to raves anymore or has everything become a party or a show? Have you noticed no one goes to concerts anymore? It sort of disappeared. "I went to this Animal Collective concert once, it smelled like the disc golf course. I like concerts but disc golf is too hard." If you want to go to that Bonobo concert tonight it's $15 you can possibly still use this online ticket link but you could probably just pay at the door at this point. Or, ya know, hit your neighborhood record shop. There is or was this bar in Cambridge, Ma I used to like called the Enormous Room, it was tiny (of course), decorated like a Moroccan lounge with pillows on platforms on the floor and they played music like the above Bonobo way too loudly. Not trying to knock the Parish by any means, just living a memory while listening to that above track. Both videos that sandwich this paragraph are from Bonobo's latest LP on Ninja Tune Records, it's called Black Sand. Fellow Ninja Tuneite, Yppah (pronounced "Yippah") will be making the long journey from Houston to perform at the Parish tonight as well. I kid about the long distance and don't be put off just 'cause he's from Houston. It's not his fault the city is composed entirely of strip malls and interstates. He's just trying to makes some "syrupy gobs of dream pop" and can we really fault him for that? I think not. That track comes from Yppah's latest Ninja Tunes release, the cleverly titled, They Know What Ghost You Know, which could be a pleasant or displeasant prospect. I mean it's kind of scary that they know, that you know a ghost to begin with, let alone which specific one. I mean, that's pretty personal. On the other hand if you have mutual ghost friend/acquaintances that could be a positive experience, right?